Creative Earthscapes is a trusted company when it comes to quality fence installation. Most homeowners and commercial property owners in Ohio choose us for our expertise and decades of experience in the business. We have proven to them that we have the necessary resources to handle small to large fencing projects. Our company is also the preferred fence installers in the state because of our professionalism, quality workmanship, and excellent customer service. 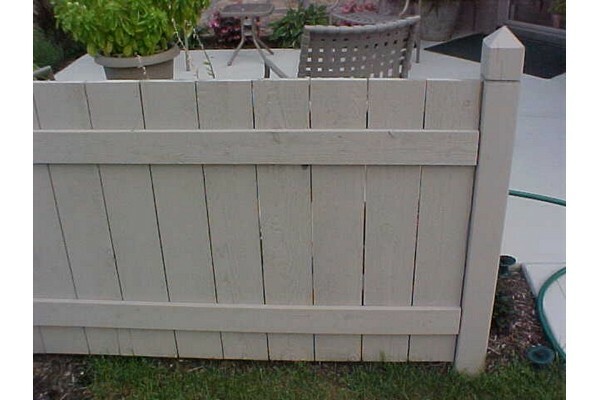 If you want a worry-free fence installation project, call Creative Earthscapes at (614) 322-3333. We service Columbus, Delaware, Westerville, Dublin, Lewis Center, Upper Arlington, New Albany, Powell, Hilliard, Pickerington, Galena, Grove City, Granville, Blacklick, Clintonville and neighboring cities in Ohio. Rest assured that your fencing project will be completed on time or even ahead of agreed schedule. This means minimal disruptions to your day-to-day activities or business operations. Vinyl is an excellent material for pool, privacy, and picket fencing. If you need help in installing vinyl fences in your property, we are the best installers to hire. We use only high-grade vinyl for our installation projects. The vinyl fences that we install are manufactured using the latest technology and finest raw materials. They resist humidity, won't chip, crack, or rot, and can withstand extreme weather conditions. Our vinyl fencing is guaranteed durable because of its thicker gauge and innovative features. Some of the brands that we use are Polyvinyl Fence Systems and Weatherables by USA Vinyl. Who wouldn’t want the classic appeal of a wood fence? Whether used for privacy, garden, or pool fencing, wood is still the choice of many property owners in Ohio. At Creative Earthscapes, we can install picket and wood panel fences for your home or commercial property. We use properly treated wood that can last for years with minimal maintenance efforts. Choose your style. You may also request for specific wood species or choose a custom color or finish that will help boost your property’s appeal. Call Creative Earthscapes at (614) 322-3333. 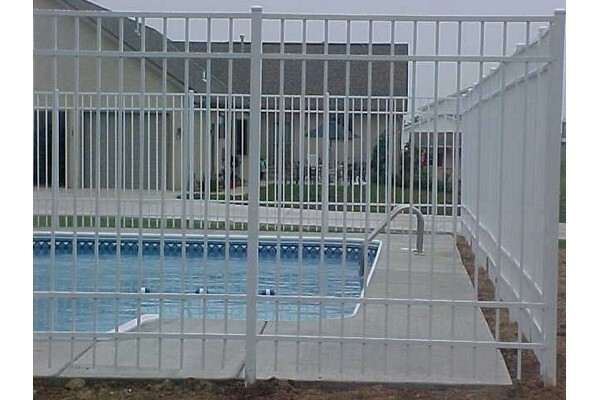 You can make your pool a safer place by installing custom-made fences. Just make sure that you call professional installers like us at Creative Earthscapes. The fences that we install will definitely enhance the look of your pool area because of their attractive designs and finishes. Your pool fencing can be made from vinyl, wood, metal or aluminum. Rest assured that all these materials are top-quality and sourced from trusted suppliers. The best way to protect your prized garden from pets and stray animals is to install garden fencing. You may choose from different materials such as wood, vinyl, wire mesh, or metal. We will help you choose the right design based on your budget and desired look for the garden area. We can even create personalized designs to make your flower gardens more appealing. Fences are usually installed to improve privacy and security in homes and other types of properties. If you are planning to install a privacy fence, make sure to choose experienced installers. They can guide you in choosing the right fencing materials and the most appropriate designs for your home. 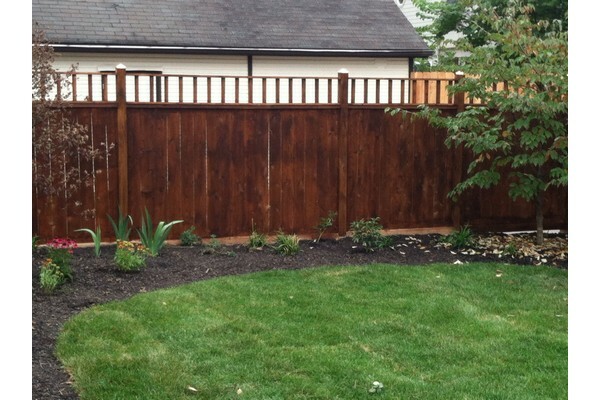 At Creative Earthscapes, we highly recommend wood panels and premium vinyl for privacy fences. We can install ready-made fence systems or create custom-designed ones to suit your needs and preferences. Our seasoned craftsmen are capable of creating custom fences based on the desired designs of our clients. Clients can request a particular paint color or stain that will complement the existing theme of the home or landscape. We use premium fence paint, stain, and sealer when performing this task. 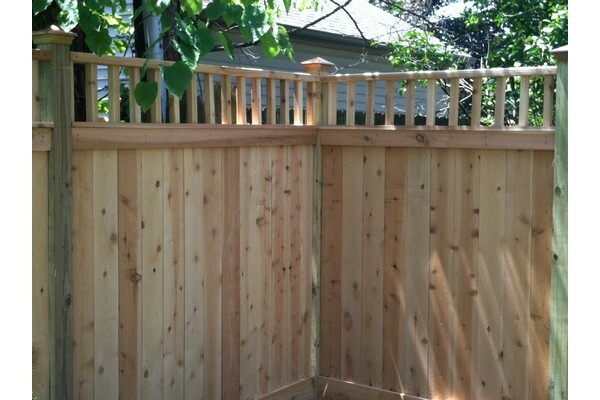 Once we're done with any custom work, you will totally enjoy your new fencing. Call Creative Earthscapes at (614) 322-3333—the fencing experts in Ohio.